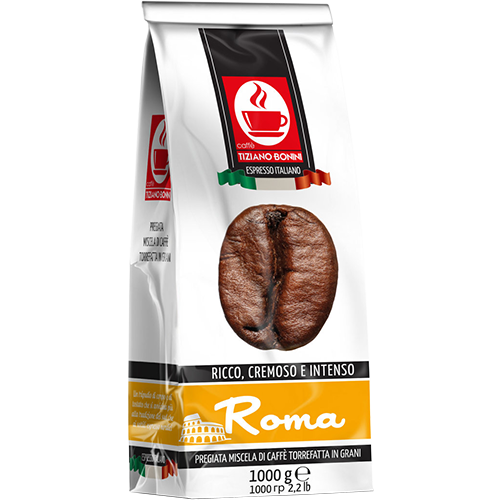 Caffè Bonini Roma coffee beans is just like the Romans want it, strong and with great self-esteem, yes powerful and obvious. The coffee is perhaps a little darker roasted than we are used to. Try it like a macchiato or as a cappuccino. Caffè Bonini is now the fastest growing roster in Italy. They have opened 144 franchise stores in just a few years and are today Europe's largest manufacturer of compatible capsules.